Brand: Chicago Metallic AM-26636 Units: 1 Afternoon tea or children's tea parties, the perfect size for all. Great for making sponge cake, individual chocolate mousse, petite souffles and other favorites. Dishwasher safe. 20 cavities, each cavity measures 2" x 1 1/4" deep. Afternoon tea or children's tea parties, the perfect size for all. 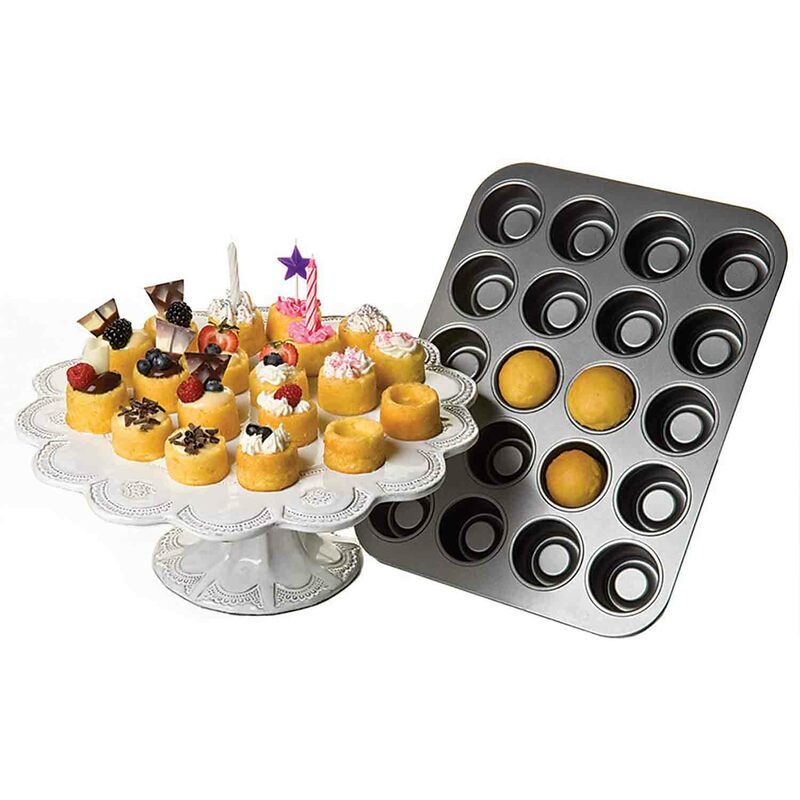 Great for making sponge cake, individual chocolate mousse, petite souffles and other favorites. Dishwasher safe. 20 cavities, each cavity measures 2" x 1 1/4" deep.